This week, my focus was on creating an asset list so we all know what to model for our environments and tweaking the shoggoth model. Positive Stuff: The skin damage is visible from both a distance and close up. The body looks less squashed. 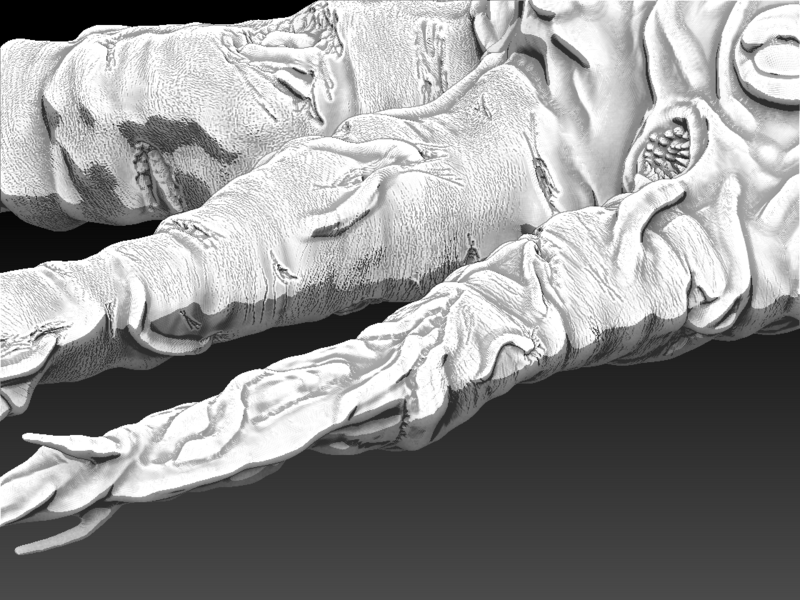 Problems / issues: The shoggoth still has poor topology, so this needs to be addressed. 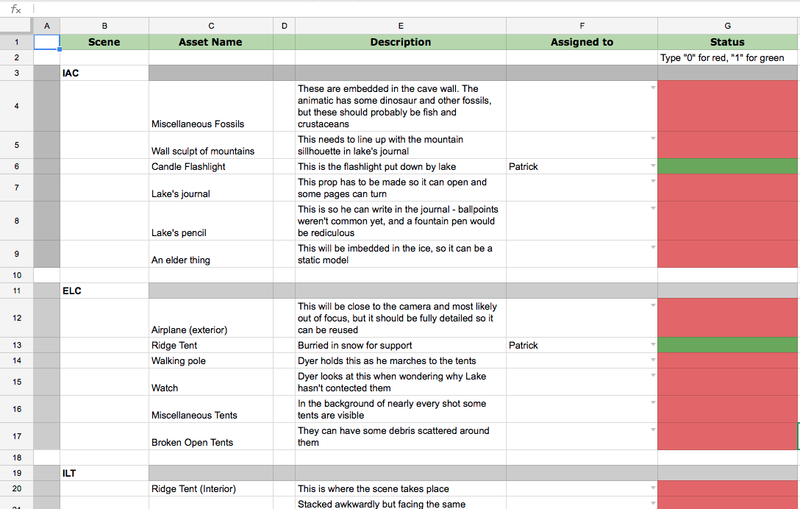 Summary: This is a document that catalogs the different models that need to be created for all the environments.